Steve’s breakdown: BluePearl Veterinary Partners just got famous giving an Instagram star bad medicine. Now the word is out nationwide and you know people will be avoiding their 60 pet hospitals like the plague. Giv’em a call and tell’em you can fix it. Neil & Darryl Shaw are the co-founders and can be reached at 813-471-0761. 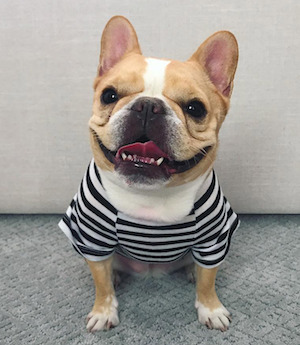 TAMPA, FL: The Internet-famous pup known to hundreds of thousands as Chloe the mini Frenchie has died from what her owner calls a “fatal error” by staff at a Manhattan veterinary hospital following a routine surgical procedure. Owners, Loni Edwards and Phil Toronto said on Chloe’s Instagram account that the pup “did great” when she went to a facility for the procedure Wednesday morning. The dog, which had nearly 200,000 Instagram followers, was then taken to BluePearl, a specialty and emergency pet hospital in Chelsea, for overnight observation. It was there that the staff attached the oxygen to her by mistake, “the pressure of which blew out her lungs, led to multiple cardiac arrests and ultimately killed her,” Edwards alleged. Chloe “fought so so hard to stay with us, but the fatal error was simply too much for our little nugget to overcome,” said Edwards. Edwards and Toronto were in tears Thursday as they told News 4 that the vet was in the room with Chloe at the hospital when a staffer put the oxygen tube in — but the staffer apparently did not calibrate the flow of the gas correctly. Chloe’s sudden death shocked Instagram fans who had become accustomed to seeing daily updates of the adorable dog. “We are aghast and heartbroken,” one follower wrote. 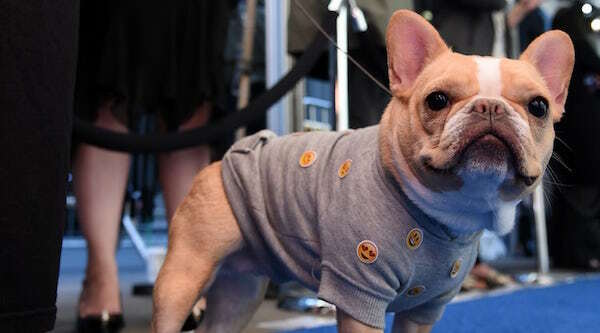 The mini Frenchie amassed a huge following over four years after Edwards began posting photos of the puppy that clearly resonated with people. Chloe became the inspiration for Edwards’ business The Dog Agency, which represents the top pet influencers on social media. Chloe was an “amazing dog,” Edwards and Toronto said. The couple is now considering legal action and wants to warn others of their experience.